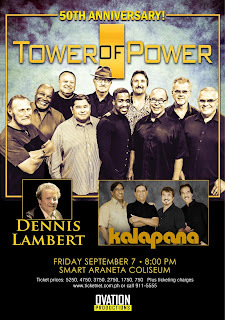 Tower of Power in Manila with Dennis Lambert & Kalapana! Victor Magtanggol - Surprisingly Not A Rip-Off, But Wait! The very controversial new fantasy series of GMA came with a lot of raised eyebrows the moment they revealed that the newest superhero will have Norse Mythology and looks very familiar to Marvel's Thor. And with the main weapon for the series is the Mjölnir, many say that it is a rip-off of the mythological franchise. 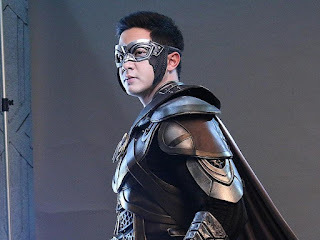 With a story based on a foreign mythology and a established comic icon, Victor Magtanggol would really need a lot of explanation to prove its worth on prime time. This series also brings back Alden Richards at the prime block since "Destined To Be Yours" which I think was too rushed. But Magtanggol has been planned for a long time, and may have gone with the production code "Mitho". Now its out after replacing the zombie-serye "The Cure", will Magtanggol be the fantaserye it was made to be or will its elements confirm a rip-off? Christian Bables is excited in his upcoming movie, Signal Rock, his first collaboration with Direk Chito Roño. It was a dream come true for him to be working with the A-list director. He is all praises of Direk Chito. “Ipapakita at ipaparamdam talaga niya sa iyo kung gaano ka niya pinapahalagahan bilang isang aktor at kaibigan basta ipakita mong you deserve his admiration and trust. I will forever be grateful to him. I worked so hard noong makapasa ako sa audition. I put myself into my character’s shoes so I would know kung anong emosyon ang aking paghuhugutan. I imagined my character - the way he speaks, walks, how he closes his eyes – para mabigyan ko ng magandang interpretation ang role ko. I have to be on my toes kasi andyan sina Direk Chito and the staff." 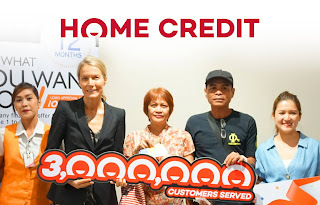 Even just a few years in the Philippines, Home Credit has established a lot of milestones and provided millions of loans to Filipinos, yes as in millions. And recently, they just hit the 3 Million mark and surprised the customer on-site with treats and prizes. 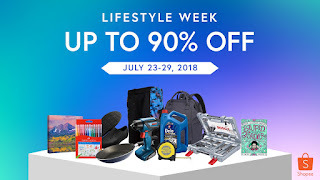 Home Credit has been known to many Filipinos as a loan partner that helps them in obtaining appliances and gadgets with a minimal down payment and flexible loan terms which are very affordable and convenient to pay. I got my phone via Home Credit when I needed a good phone camera for work. Now they are celebrating another milestone this year as they hit the 3 Million mark. 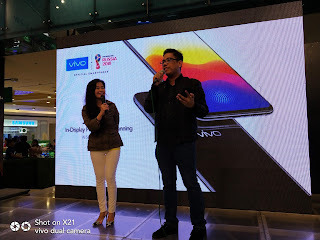 They made their first million customer back in May 2017, and it was not long when they hit two million and just this July is where they hit 3 and they wanted to make it memorable. Gina Lopez Names 8 Finalists Of The "Quest For Love"
Eight communities will get to jump start their own projects to help uplift the lives of their people throgh "The Quest For Love," a nationwide search that will soon air o ABS-CBN's "G Diaries" by Gina Lopez. Launched last March, "The Quest For Love" is a project of the Investments in Loving Organizations for Village Economies (ILOVE) Foundation founded by Gina. It Aims to promote widespread social and environmental development by providing communities with financial and technical support to start their own social enterprises. Netflix Heroes For Day 2 of Asia Pop Comicon! 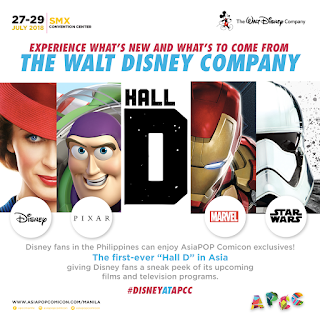 Day 2 of APCC is the most anticipated day as it will be the most activity-filled day of the convention. And like the first day, fan favorite areas were the highlight. One of them is Netflix area which the stars of Luke Cage and Iron Fist graced the stage there to do poster signing. This was the day of the Hall N (Netflix) where they had several panels for the afternoon. The first one was Netflix ♡ Anime which featured the Showrunners of Castlevania that will have a second season soon. 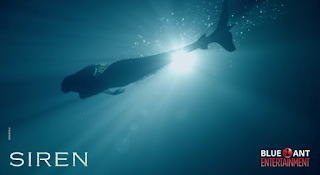 Before they left, they also shared the world premiere of the second season trailer. There was also a brief appearance of Aggretsuko who danced to heavy metal music true to her character and also waiting a new season soon. 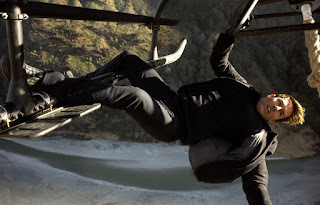 IMAX at SM Cinema Intensifies the Thrilling Action in Mission: Impossible – Fallout! Experience heart-pounding and exploding action in SM Cinema and IMAX theatres together with the IMF’s best spy, Ethan Hunt, as he comes back with his team for Mission: Impossible - Fallout. 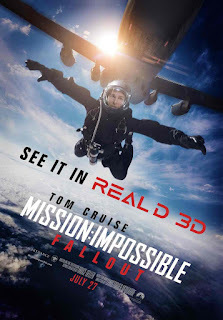 After capturing Solomon Lane, the IMF team led by Ethan Hunt (Tom Cruise) joined forces with CIA assassin August Walker (Henry Cavill) for another impossible mission to take, prevent massive nuclear attacks on Vatican, Jerusalem and Mecca, Saudi Arabia from a group of terrorists known as the Apostles. 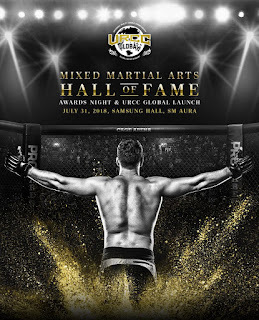 The country’s top celebrity athletes will be honored at the first Universal Reality Combat Championship (URCC) Hall of Fame Awards, to be held on July 31 at the Samsung Hall of SM Aura, Bonifacio Global City. Among the awardees are Ormoc City Mayor Richard Gomez (Fencing), Makati 1st District Rep. Monsour del Rosario (Taekwondo), Senator Miguel Zubiri (Arnis) and eleven-time world boxing champion Senator Manny Pacquiao (Boxing). Baron Geisler and Kiko Matos, who made headlines with their impromptu cage match last June 25, 2016, also earned a citation as the URCC’s first celebrity fight. The URCC played a key role in popularizing mixed martial arts (MMA) in the Philippines, kicking off its inaugural event at the Casino Filipino Ampitheater in Paranaque City on November 23, 2002. It’s now global Filipinos in South Korea’s time to shine! After being floored with the amazing talents from Taiwan this summer, the search for the talented overseas Filipinos moves forward with “MOR Global Pop Icon in Korea”, with the auditions kicking off on July 29 at the Hyehwadong Church in Seoul, South Korea. 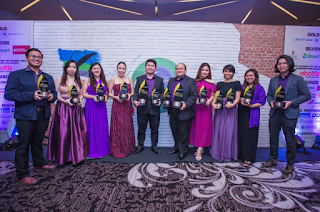 Recognizing the need to provide a platform for the talented Filipino singers, the competition aims to discover amateur singing talents and empower the overseas Filipinos by letting their talents shine before the world. Ria Atayde and Joseph Marco Opens LAB by Eyebrowery! One great move for celebrities is to have their own business that they can look forward to. And this is what Ria Atayde and Joseph Marco had in mind when they launched their partnership with the launch of LAB by Eyebrowdery at Ayala Malls Feliz in Marikina City. Ria and Marco are still active in showbiz and have projects with the Kapamilya network, though they went with a unusual yet trending venture of cosmetic services rather than the usual food and fashion. 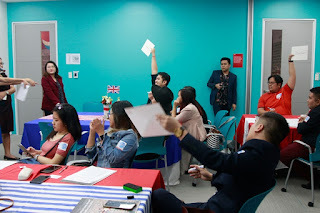 Get IELTS Certified With The British Council Philippines! Red Things Take Over APCC Day One! I'm so happy to be back in APCC for this year and I thought I would miss day one because of schedules. But even with just some brief hours, I was able to roam around the SMX Convention Center where APCC became its home since year 2. Now aiming for more bigger and immersive experience, they brought in Neflix stars from the series Finn Jones (Iron Fist) , Mike Colter (Luke Cage), and Tye Sheridan (Wade Watts). But their appearance will happen on Saturday. The highlight of the day was the long line at Filbar's for the Exclusive Jollibee Funko Pop which is a limited edition piece. Fans of the bee started at noon which eventually became very long yet quite expected from a exclusive piece. Customers are only allowed maximum of 2 pieces per purchase. 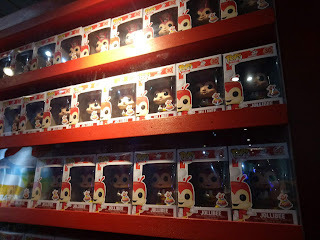 The Funko Pop is sold for P650 and will also be available in Jollibee stores in August. The TFC Store in Daly City, California continues to animate early Friday evenings with creative community events that excite TFC employees, fans and neighborhood folks. 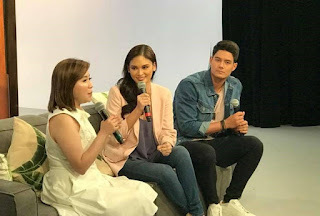 Just last Friday, the TFC Store, in partnership with O Skin Med Spa, brought ABS-CBN stars Miss Universe 2015 Pia Wurtzbach and actor-model Daniel Matsunaga for Photo Op sessions at the TFC Studio. The TFC Store was also transformed into a veritable pop-up spa with the O Skin Med Spa team offering beauty treatments like facials to visitors. Having a reliable, high-speed internet connection is almost as important as having utilities like water and electricity which are basic needs in a typical Filipino home. Unfortunately, individuals and families who are about to move into their new homes are so busy that they may not have the time to drop by an internet provider’s store to apply for a subscription. 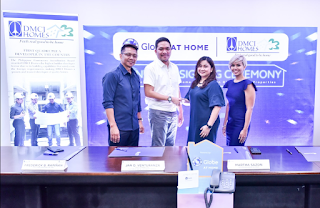 Globe At Home understands this struggle and has found a way to make things more convenient for their customers together with their new partner, DMCI Homes. 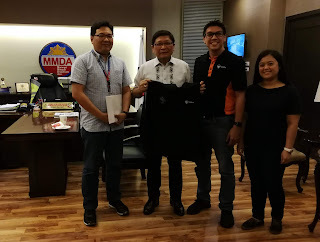 Now, new condominium owners of DMCI Homes won’t have to brace traffic and long queues as they will have the option to apply for Globe At Home's exclusive broadband plan during the turnover of their units. 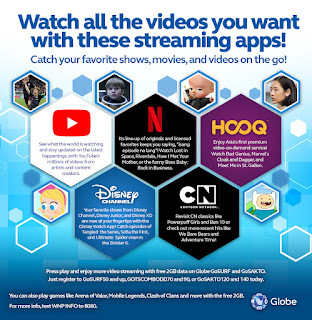 This new collaboration aims to make Globe At Home subscription applications easier than ever. 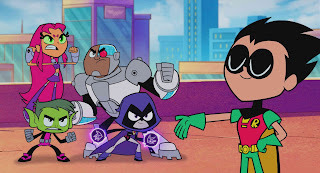 Superhero Films Get Skewered When "Teen Titans GO! To the Movies"
It is truly rare for artists to reach certain number of years in the very competitive industry of showbiz, and Sharon Cuneta is one of them. Known as the "Megastar," she showed her Mega-talents in many way which indeed earned her rightful title in showbiz. She will be celebrating her 40th year and she wants to make it monumental. I was not even born when she started her career, but she is still very relevant and active as a great singer, mentor, and actress with recent projects like the blockbuster "Unexpectedly Yours," and Kapamilya shows like "The Voice Teens," and "Your Face Sounds Familiar Kids." She is also seen in many commercials like Petron, McDonald's, Magnolia 3-Way Chicken, and Lucky Me recently. Aiai Delas Alas has recently renewed her contract as the endorser of Hobe Noodles. Her partnership with the brand grew a lot and proved her worth as sales grew for Hobe and expanded their flavors and variants. CEO of Hobe Noodles Bobby Co is definitely happy with their partnership with Aiai. 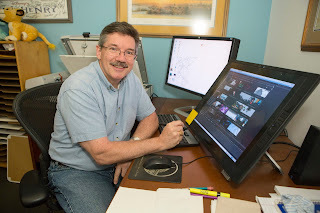 Within the 4 years, they have expanded into many marketing platforms like billboards, posters, and recently a Television commercial which is a first in the brand. From her being a hands-on mom, now newly married to Gerald Sibayan, she also reprises her role as a housewife along with many projects she is working today. Healthcare is now more than just curing diseases. Medical practitioners have a new and more comprehensive approach when it comes to treating their patients. According to Dr. Lizbeth Sto. Tomas, a Wellness Doctor of Internal Medicine at The Medical City Clark, “Health is simply the absence of any physical sickness. 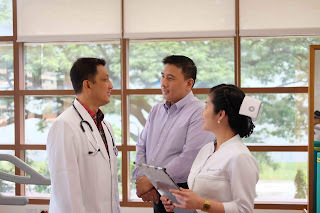 Wellness, meanwhile, is a more encompassing concept that is rooted in a person’s overall lifestyle.” The Medical City Clark’s Executive Check-up program focuses on giving solutions that aim to improve their patients’ overall wellness, one that is preventive, promotive, proactive, and personalized. We love doing what we love, this is true with the Filipinos' passion for the Basketball sport, this passion is also true with the Taiwanese and their quest for better innovation in the products. And bringing them together would indeed be a great place to see real passion in real life. This came true with the Taiwan Excellence Basketball Camp held at the Mall of Asia Music Hall with an intense 3-on-3 Hoop Challenge, top-notch innovations from Taiwan Excellence, and PBA stars. It is already the 6th time Tom Cruise played the international spy Ethan Hunt and the question is always what is new for the latest franchise of the espionage flick. It turns out that there are still more to look forward to. 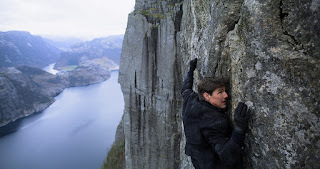 Mission: Impossible - Fallout. Ethan Hunt is at it again after so many complications with his organization, the IMF. Also got into more international turmoil with Rouge Nation, now gets entangled with the CIA for a mission that also rocks his personal life. The dilemma now for this film is the rise of the so called "Apostles" who will avenge the capture of their leader Solomon Lane who was the main villain in the last movie. This time is also the introduction of Henry Cavil as August Walker who works with the CIA and is ordered to be with Hunt all the time. And this role is the reason why Cavil kept his mustache which was edited out in Justice League. But even with the scruff look, he made a good impression with his skills in combat, and espionage. The Asian American International Film Festival (AAIFF) -- proudly known as "The First Home to Asian American Cinema” – kicks off this week its 41st annual festival in New York City, starting from July 25 to August 4, 2018. Acclaimed Filipino American director-screenwriter H.P. 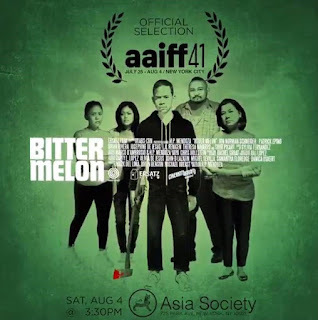 Mendoza’s Bitter Melon, a film project chosen last year for funding and support under Cinematografo Originals, is an official selection and will be shown by AAIFF at the prestigious Asia Society on Park Avenue on August 4. Bitter Melon has been doing the festival route since debuting as a work in progress at the 2017 Cinematografo International Film Festival in San Francisco. It had its world premiere as a centerpiece film at CAAMFest in San Francisco in May, followed by a screening as a narrative feature in Outfest Los Angeles this July, before going to the East Coast for AAIFF in August. 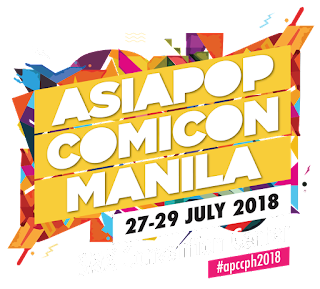 APCC Manila 2018 Brings Stellar Guest and Exhibitor Lineup to Filipino Fans! Acer Day 2018 Brings Popular Music Idols like Moira and IV of Spades To Play Music Together! Last year's Acer Day was one incredible day of something unexpected but really fun. They converted the Glorietta Activity Center into a giant ball pit with music and games. 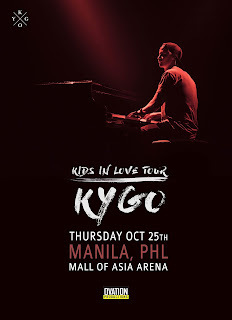 This year, they come back to Glorietta, this time to "Play Music Together" with the popular music and dance artists of today like G Force Moira, and IV of Spades. Acer Day started last year in 14 countries across Pan-Asia Pacific. This year, the celebration grows as 20 countries in the region join in on the fun. Aside from the Philippines, Acer Day 2018 will be kicking off in Australia, Bangladesh, Brunei, Cambodia, China, Hong Kong, India, Indonesia, Japan, Korea, Malaysia, Mongolia, Myanmar, New Zealand, Singapore, Sri Lanka, Taiwan, Thailand, and Vietnam. 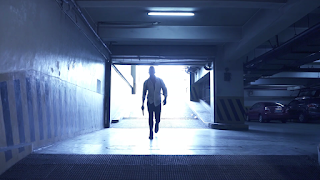 Bell Films Releases Action-Packed Teaser Trailer For Debut Film "Kontradiksyon"
Coming into the successful launch of Piip Mobile, we are glad to share exciting news for you! 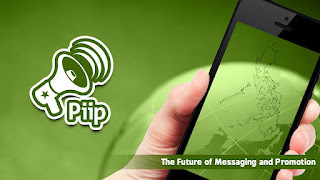 Piip have now gone beyond shopping and merchants deals and is transitioning into F&B and entertainment! Mobile applications have been introduced and designed to make the world closer to our fingertips. We have apps that make communication with someone from across the globe and in a different timezone easier. We also have apps that help us organize schedules, keep track of our fitness goals, and send us the latest updates may it in news or promotions. But most importantly, we now have apps that bring us one of our basic needs as human beings -- food! 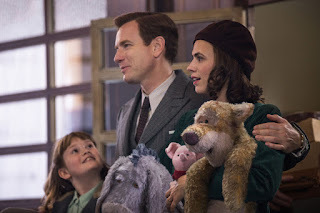 Watch the First Trailer of Supernatural Thriller "Overlord"
Winnie the Pooh and Friends Get Their Own Character Posters for Disney's "Christopher Robin"
Work and play smart with up to 90% off products from Home Appliances, Home and Living, Motoring, Sports and Travel, and more! For a cynical grump, it’s never too early to be annoyed at Christmas. 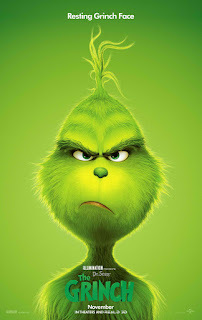 Watch the brand new trailer of Universal Pictures and Illumination’s upcoming animated comedy The Grinch starring Benedict Cumberbatch. Fil-Global Immigration Services has been in the industry of providing opportunities for work, live, and study in various countries especially in places like Europe, Canada, US, Australia and New Zealand. As a one-stop shop for immigration requirements and assistance, they make sure that it lessens the hassle of going to so many processes which either delays or dismisses the opportunities abroad. Recently they had their first Fil-Global Expo that brings together brands and customers into one venue. Among the exhibitors were 9.0 Niners IELTS Center, Security Bank, Universidad Catolica De Murcia, Niagra College Canada, Acsenda School of Management, and International College of Advance Education, JVB Travel and Tours, Pacific Cross, Queensford College, Southern Cross University, Cornell University, Arbutus College, Pearson College, and Regus. Most of them are schools with staff that will assist applicants with their inquiries and processing. 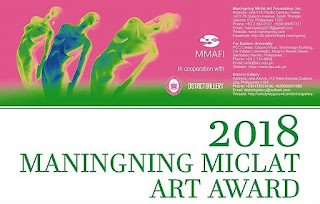 Entries must be submitted to maningning2018@gmail.com. Image file of the entry must be high-quality, high-definition, and in JPG format. Artist name, title, dimension, medium, and year of the artwork must be included. Passport photo, biodata, birth certificate, and entry form must be attached in email. 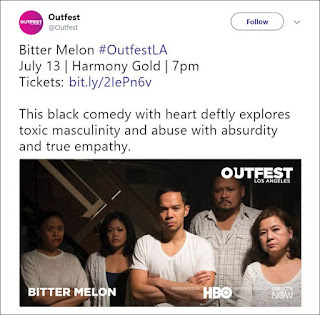 Outfest Los Angeles -- the oldest film festival in Los Angeles and considered the preeminent LGBTQ film festival in the world – kicks off on July 12 a full 11 days of not to be missed world-class films, panels and parties. One of the more than 150 feature and short films to be shown to an audience of more than 40,000 people is Bitter Melon, a film project chosen last year for funding and support under Cinematografo Originals.